Porto is an unassuming city, filled with traditional architecture, sophisticated street art and boutique accommodation (including hostels!). For those looking for a romantic weekend away or a slow city break, Porto is ideal on both accounts and has a real sense of authenticity. Before visiting any new destination, particularly a city break where time is often limited, I like to read up to find out more about the destination. In this post, I will be sharing a first time guide to visiting Porto, with handy tips, sharing where to eat in Porto and the best things to do in Porto for a first-time visit. If you’re wondering what to see in Porto for a first-time visit, then this post is for you! Porto is the second largest city in Portugal, but as I discovered before my trip seeing the puzzled looks on faces when I said where I was going, it’s not as well-known as perhaps other places in Portugal. It may not be as well known as the Algarve and its breathtaking beaches (though, it does have beaches to visit…keep reading) and, it is not as fast-paced and bustling as Lisbon. Porto is a city that has the romance of Paris and the architecture of Italy. It is truly a beautiful city, filled with small-town charm and one that most definitely needs to be on your European city break bucket list. Famed for its traditional port wines, the perfect weekend break in Porto is often one spent eating fresh fish, sampling wine whilst watching the sunset over the Douro River overlooking the Dom Luis I Bridge. Porto’s UNESCO World Heritage site and tourist epicentre, the Ribeira District is buzzing with a cornucopia of restaurants and cafes to peruse to the tune of local musicians. Head over to The Travel Hack to find out more about how to spend the perfect city break in Porto. As you can imagine from such a quaint city, Porto has the most beautiful selection of boutique hotels and stylish Airbnb’s. 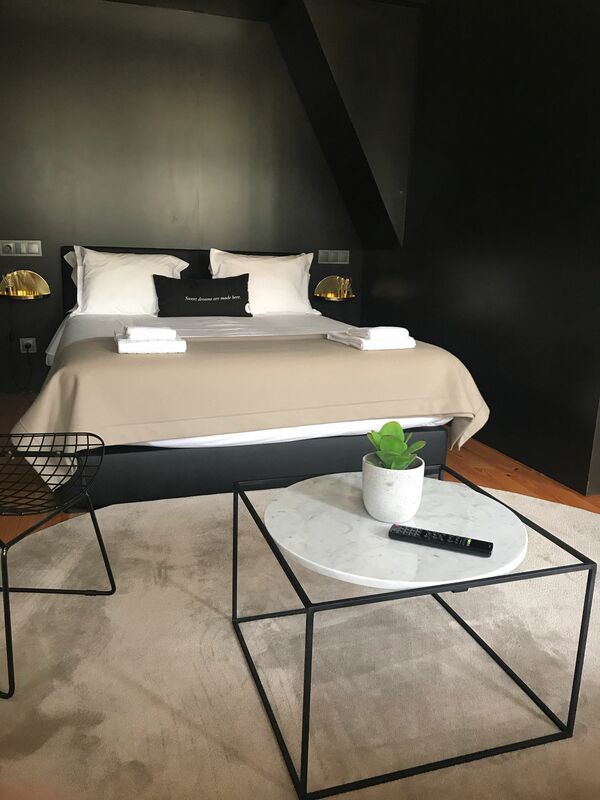 If like me, you seek affordable luxury accommodation with inspiring interiors, you really are spoilt for choice if you’re looking for the perfect boutique accommodation in Porto. Unbelievably, it wasn’t too hard to book the perfect accommodation in Porto, it normally takes me ages to whittle down my accommodation choices. 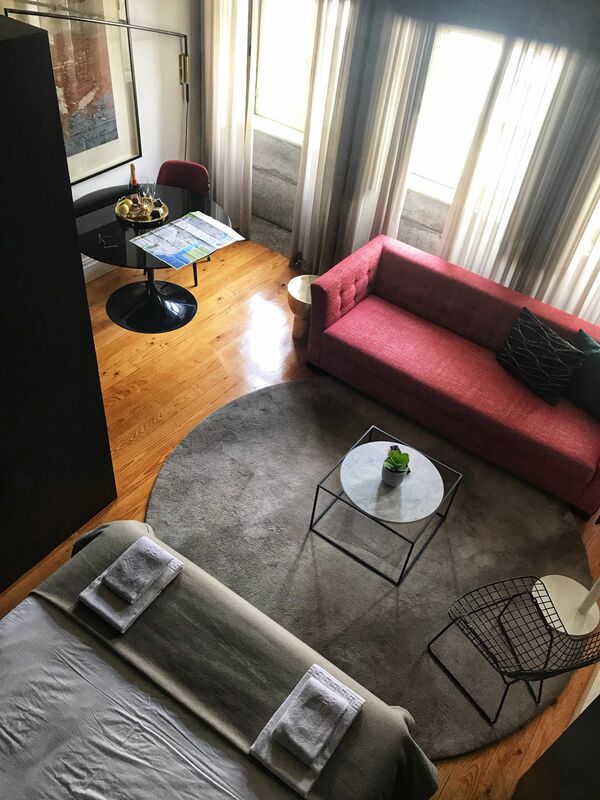 Though, finding a hotel in Porto was easier than I initially thought and, I was instantly taken by the rustic wooden beams, intriguing mezzanine floor and, simple chic interiors of A5 Smart Luxury Studios. The apartment comes with a kitchenette, rainforest shower and has access to a terrace. Another draw, is the location of the apartment, a mere 150 yards from the metro and within ten minutes walk to all the main sightseeing attractions in Porto. In terms of a first-time visit, A5 Smart Luxury Studios is without a doubt one of the best places to stay in Porto. During our visit I was full of cold and whilst it wasn’t ideal being ill on a city break, it was cosier having a home-away-from-home apartment. 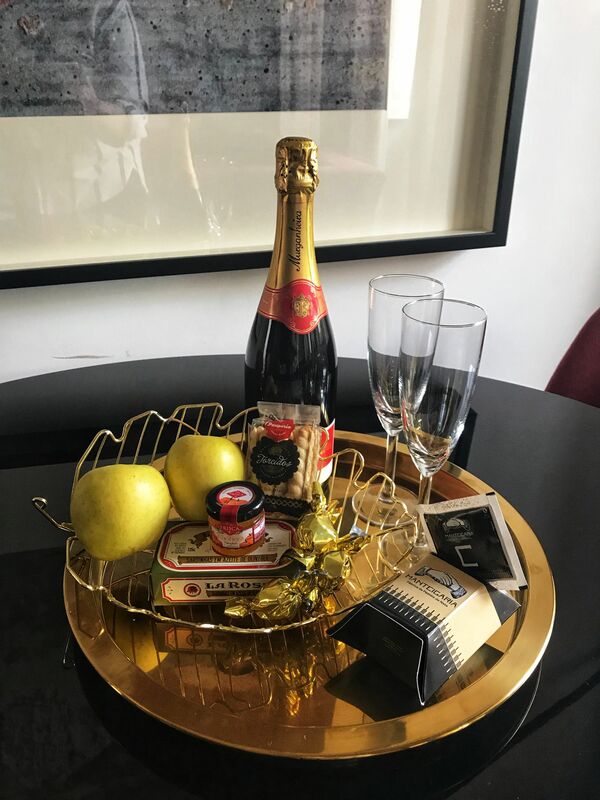 Our host Sofia kindly surprised us with a welcome gift for our arrival, with Murganheira sparkling wine from the Douro Valley, a selection of fruit/preserves and Pasteis de Natas (we had been craving them since our hotel stay in Lisbon!)! What a welcome! The central Porto apartment is only a 30-minute taxi ride away from the airport, though with ample public transport options available and to keep our costs down we took the metro. Why not take the 100-year-old quaint Tram No.01 along the coastline and catch bus 500 to the seafront if you have time during your city break in Porto. Unfortunately, we had just under 3 days in Porto and didn’t make it to the beach, but it’s definitely something I’d like to do on my next visit. It’s hard to believe from exploring the city, but Porto has over 40 flag beaches. I particularly want to visit Aveiro, otherwise known as Portugal’s Venice! I love cities that have the benefit of a city and beach break combined. If only we’d had more time! 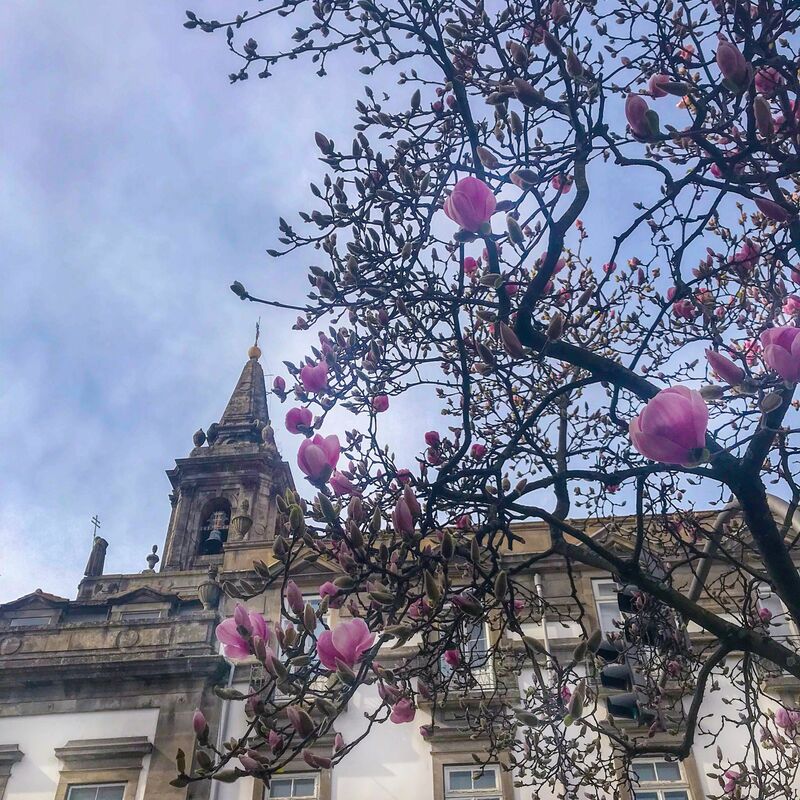 Trindade Station is located near some beautiful flowered areas and gave us our first glimpse of spring in the city. 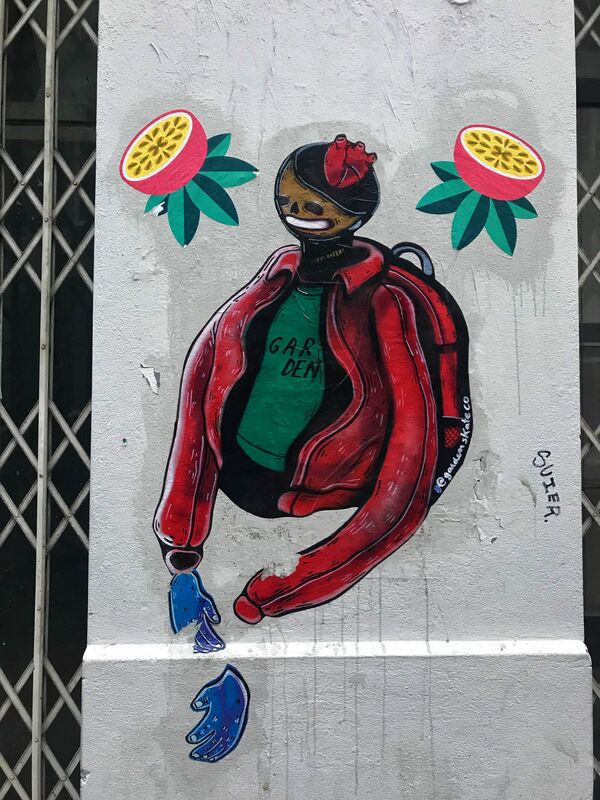 Also located near Trindade Station are some fantastic street art displays, which coincidentally was the reason Porto first caught my eye as a city break destination. 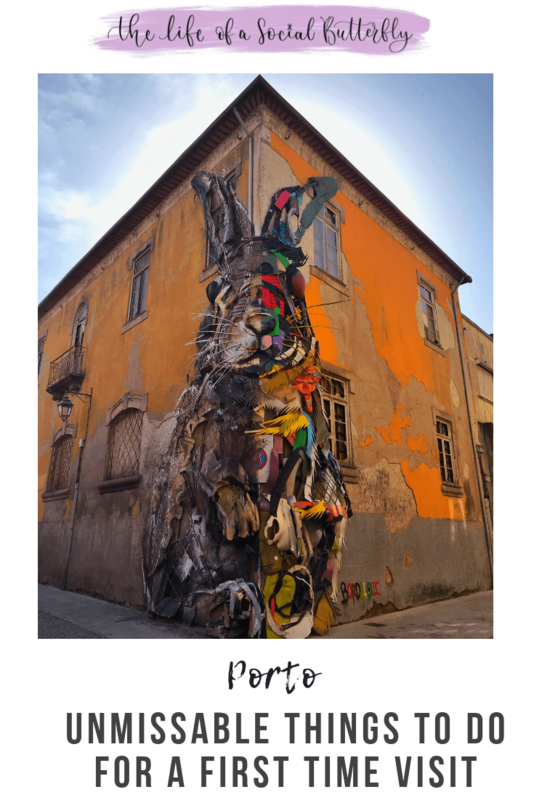 Without a doubt, one of the highlights of the Porto trip was seeing this Bordalo II creation of a rabbit, one-half spray painted, the other put together with a mish-mash or recycled items. 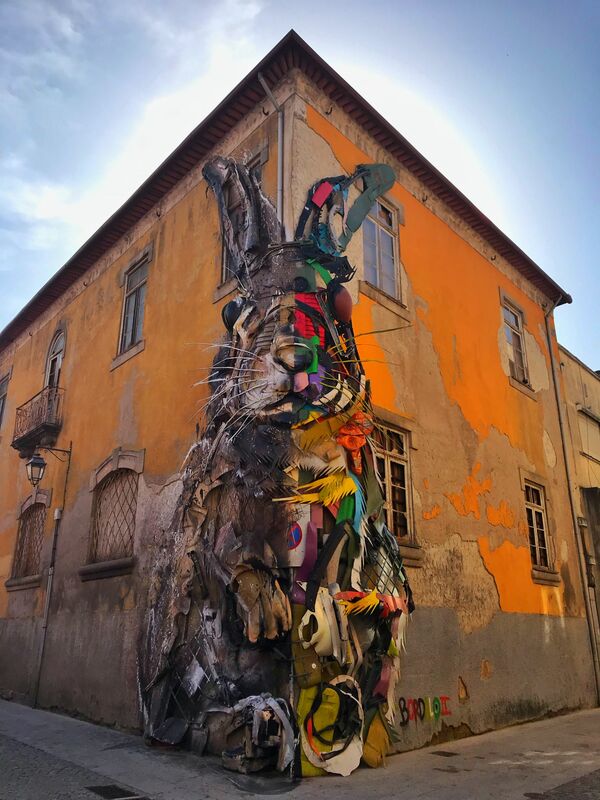 It was this particular Bordalo II rabbit installation that first piqued my interest of Porto as a travel destination after seeing the post on Instagram a couple of years ago. 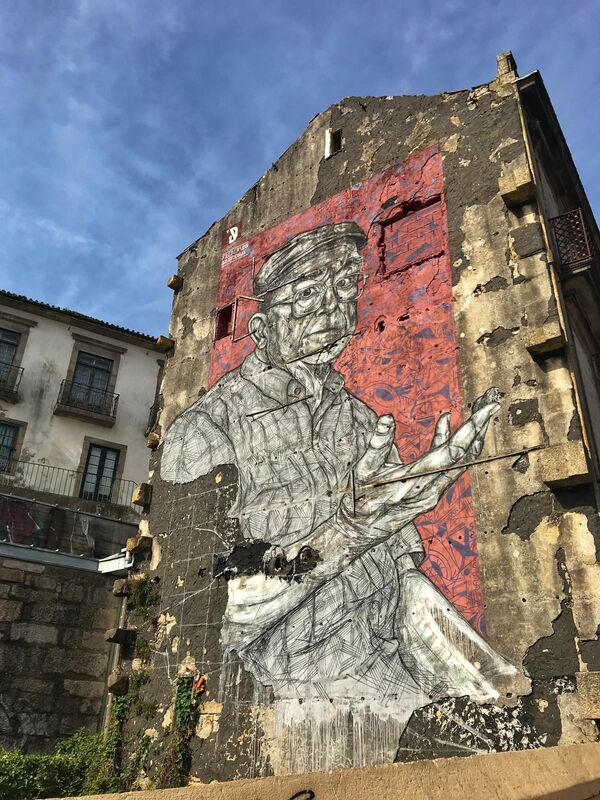 I had not expected the work to still be intact, but much like everything in Porto, the street art is beautifully preserved. 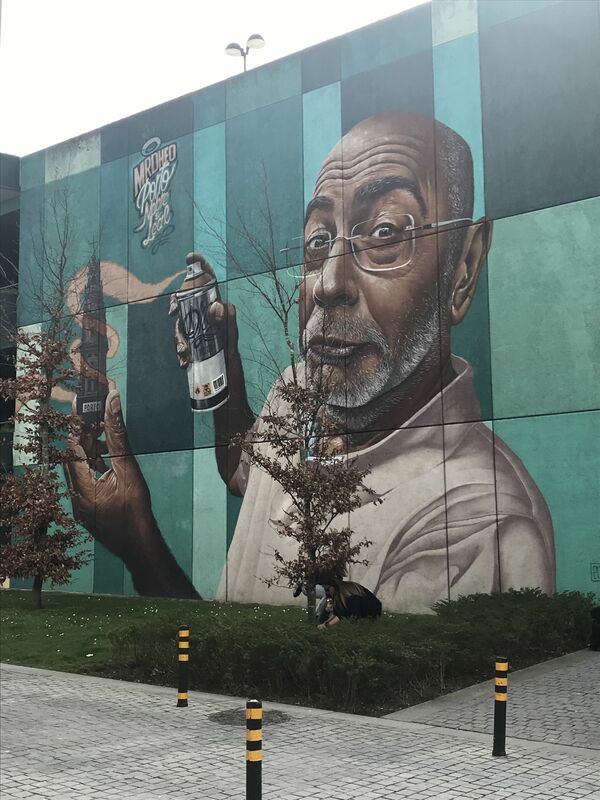 You will need to cross the Dom Luis I Bridge on the Gaia side to find this work of art & if you’re lucky you may be able to spot it from the Telefonica de Gaia Cable Car as I did! 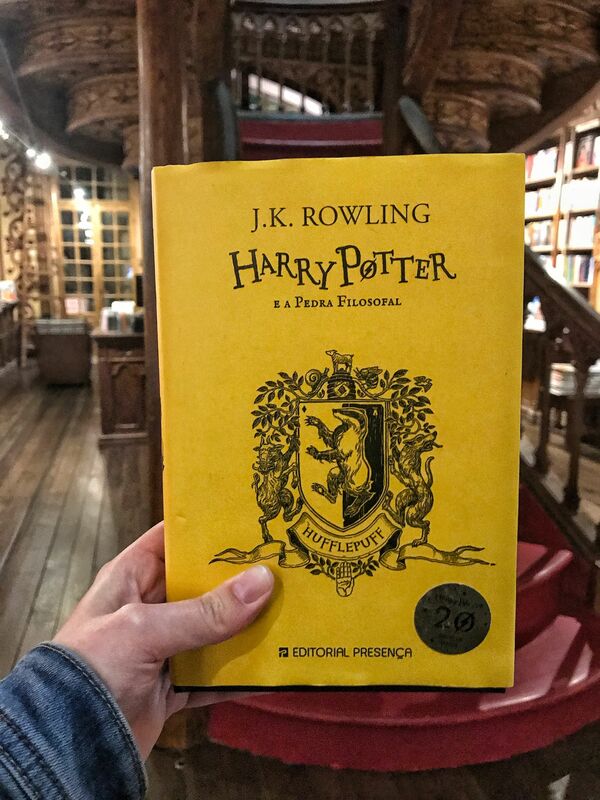 From one Instagram location to another, Livraria Lello is a magical place to visit, especially for Harry Potter fans. The library/bookstore is understood to be have inspired J.K Rowling in her ideas for the Hogwarts staircase and it’s easy to see why. I couldn’t resist capturing a picture of me climbing the staircase off to look for Harry & the gang…mischief managed! It really is a beautiful bookstore, one of the oldest in Portugal, even if it was too rammed with tourists to actually be able to look at the books in any detail. In all honesty, for such a beautiful bookstore I did find the crowds overwhelming and felt that the tourists crammed in Livraria Lello hampered the ability to truly admire its beauty. But like all Harry Potter fans, I had to see it and I’m glad that we did! 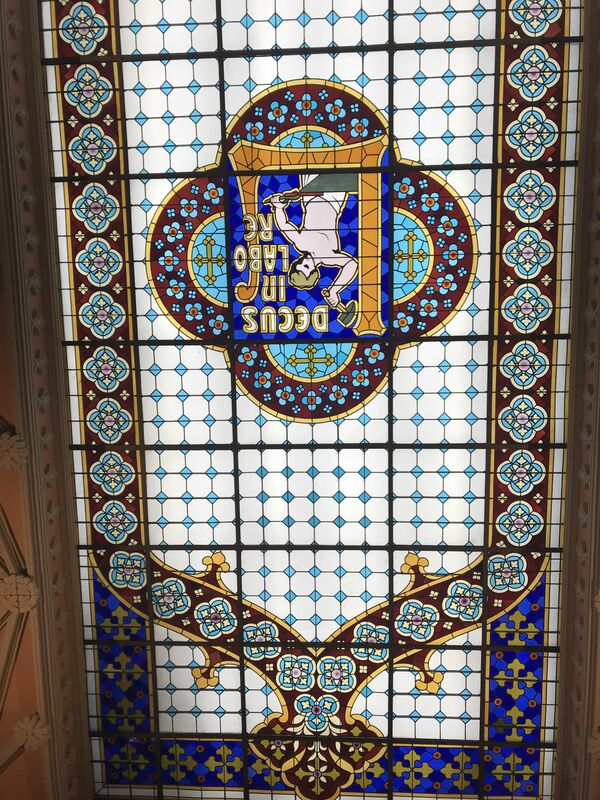 From the intricately designed staircase to the beautiful stained glass ceiling, Livraria Lello is a captivating place to visit. 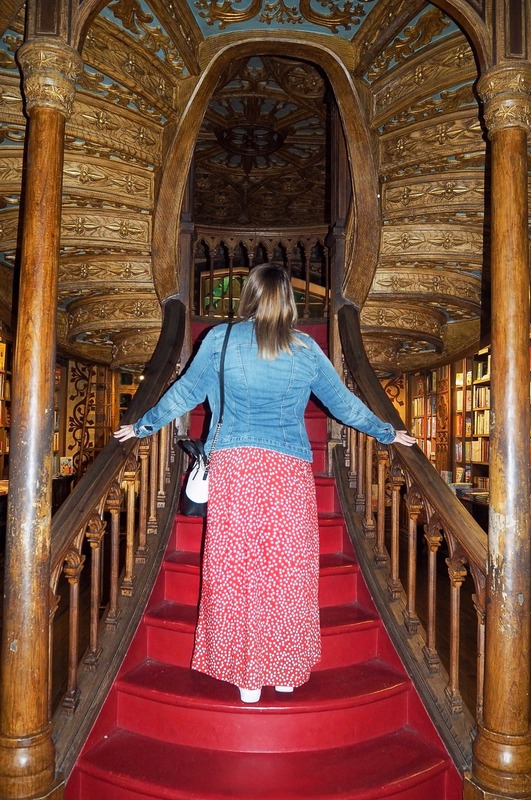 There are some other beautiful bookshops to visit in this area of Porto and to beat the queues it is advisable to purchase a ticket for Livraria Lello the evening before you are due to visit. An entry voucher cost 5 euros per person, can be purchased a few doors up from the library and can be redeemed on any purchase. Though it’s worth noting, the majority of books are in Portuguese. Potter fans can also head over to Cafe Majestic, a 1920’s cafe where J.K. Rowling is said to have spent a lot of time in Porto. After experiencing the crowds of tourists in Livraria Lello, we gave Cafe Majestic a miss (I was ill after all) but now I would like to see it. Any excuse to return to Porto! 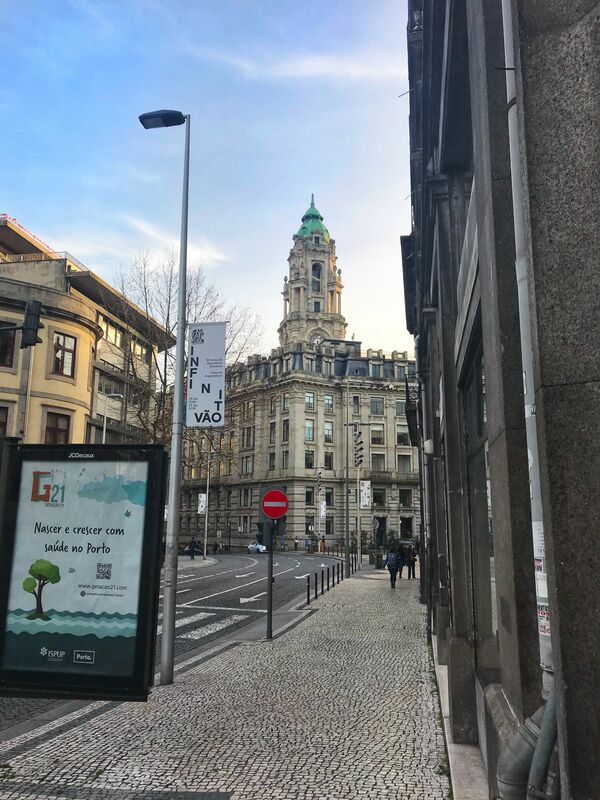 Porto has a fantastic food scene and there were a number of venues with long queues of locals and tourists waiting to tuck in during our visit. If you see somewhere you would like to dine it’s best to arrive early as Adam and I found out! Restaurant Brasao Aliados (located just around the corner from our apartment) had a queue of locals at 7.15pm and by 7.30pm the restaurant was full! Brunch is a very popular meal in Porto and you will find the queues for the brunch spots will also be on the long side. We passed by Laundromat, a popular brunch spot on our way to Zenith, a brunch location that had caught my eye on Instagram and reminded me of Lilith in Rotterdam. 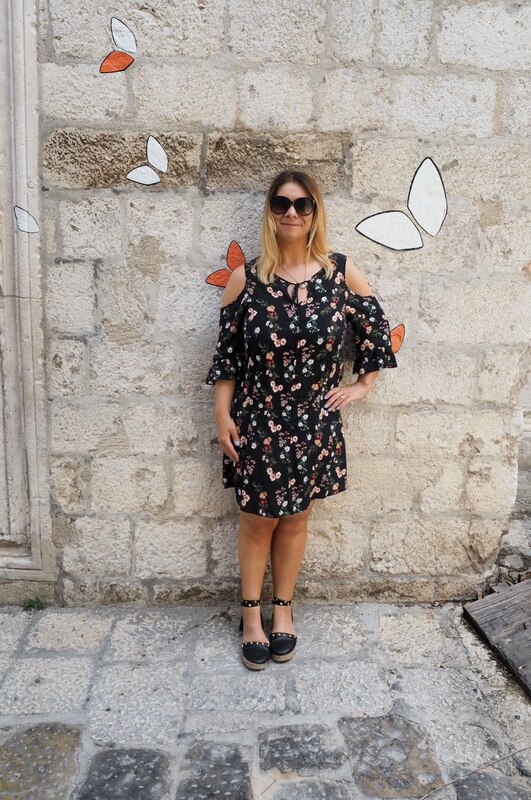 Wondering what I wore to Porto in February? Head over to my Packing For Porto – What to Wear in Porto in Winter/Spring. We queued for around half an hour and after seeing our food we were glad that we did! I’d initially had my heart set on ordering French toast as I’ve had no luck finding it on menus in the U.K. (other than enjoying it at Dalloway Terrace) and, it easily became one of my favourite breakfast dishes from my trip to San Francisco. However, by the time we reached the front of the queue my appetite had grown so I opted for Eggs Zenith. 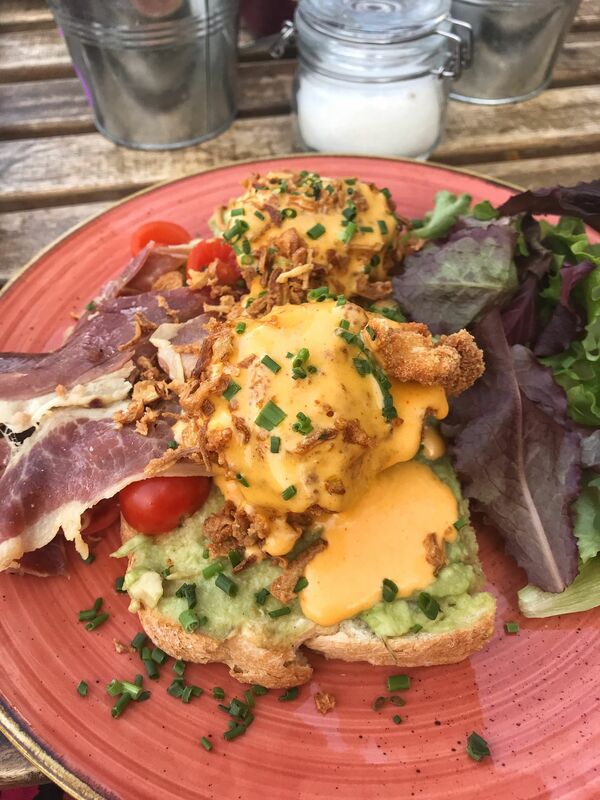 Eggs Zenith is the classic brunch dish of avocado on toast, served with eggs, streaky bacon, tomatoes, salad and chives. It was delicious and I’d be lying if I said my mouth wasn’t watering whilst I write about this dish! 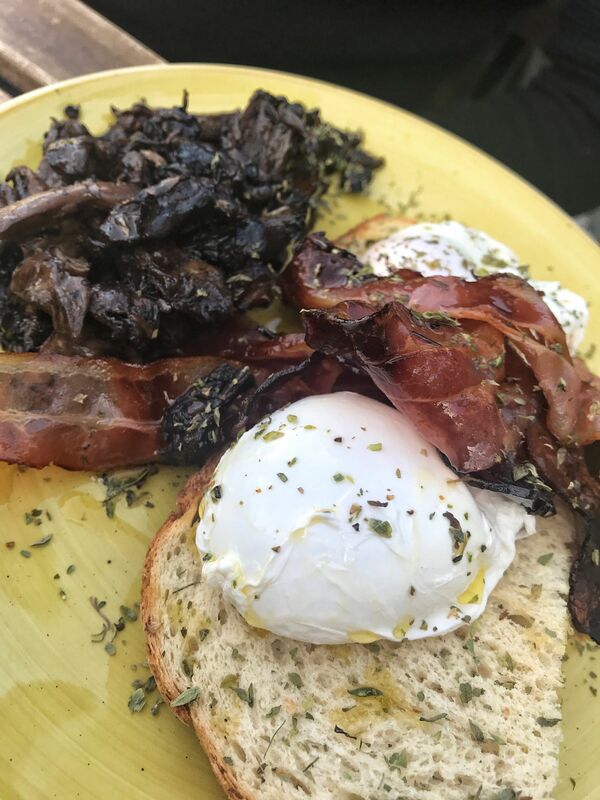 Adam enjoyed poached eggs with streaky bacon and mushrooms, which looked equally as yummy! In terms of specialities, fresh cod, sardines and tripe are popular choices in Porto. However, the most well-known dish is the Francesinha. Porto’s famed Francesinha is a dish I had high hopes for. I mean, who doesn’t like a melted cheese sandwich! The sandwich is filled with meat, topped with melted cheese and a tomato beer sauce. As a local speciality, I had to give it a try during our weekend break in Porto. After all, when you’re visiting a new destination, part of immersing yourself into the culture is to try the local dishes so I had to give it a go. 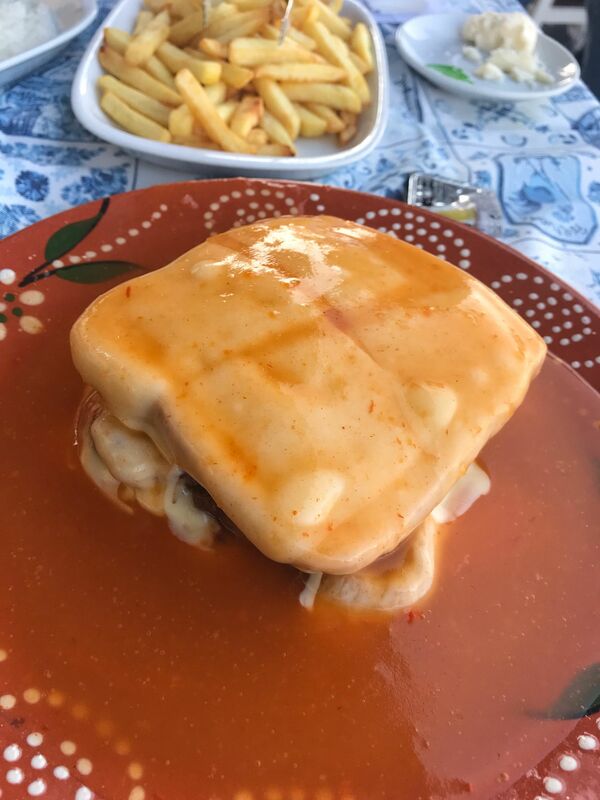 The best place according to our hosts to try a Francesinha is Café Santiago, a simple cafe where you are likely to experience a queue. Adam and I took the short walk from our apartment early evening to give it a try, though, the small cafe was overrun with people and seeing a child screaming in the cafe was enough for us to turn our heels and walk away. 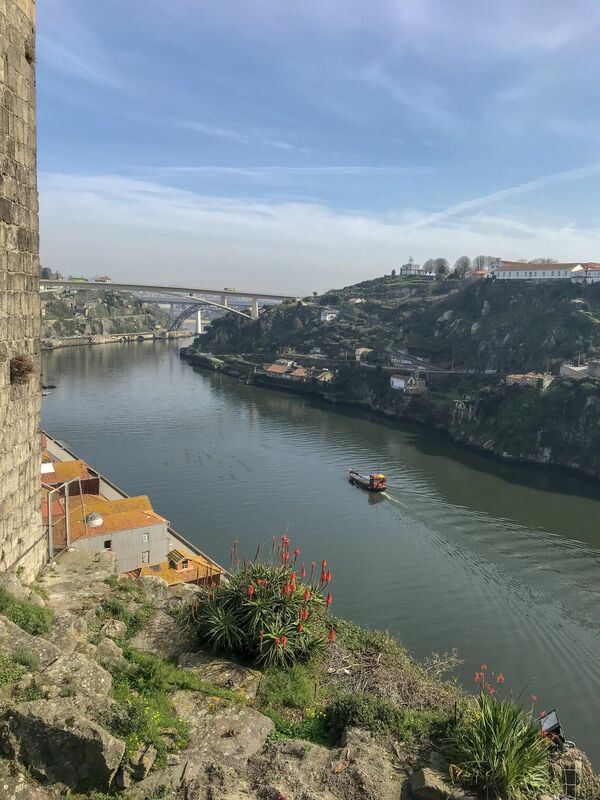 After a day exploring the port wine area across the Dom Luis I Bridge, I ignored the appetising seafood platter served with potatoes and salad being enjoyed by the locals and ordered a Francesinha. The locals looked on, bemused watching another tourist tuck into the Porto speciality. With one look, I knew I wasn’t going to like it, but I gave the dish my best shot. I wasn’t a fan of the soggy bread combined with the mish-mash of meat, but I’d given it a go and tried the local dish. Tip for those reading, if you stop for something to eat at Dom Rodizio, dining al fresco along the River Douro and overlooking the Dom Luis Bridge, order the seafood platter with potatoes or the meat skewers with salad and you won’t be disappointed! 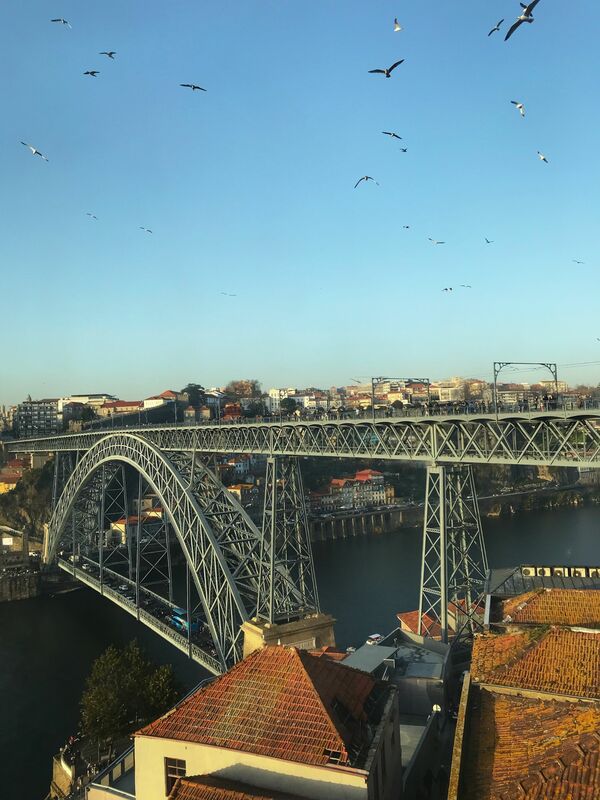 Dining with a view of the Dom Luís I Bridge is one Porto holiday memory that you will treasure. I did tell you Porto is a romantic city! It’s even more special if you end up dining as the sun begins to set. Talking of sunsets, if you are not dining head up to the green park area on the Gaia side or Miradouro da Serra do Pilar to enjoy the beautiful sunset hues across the Douro River. 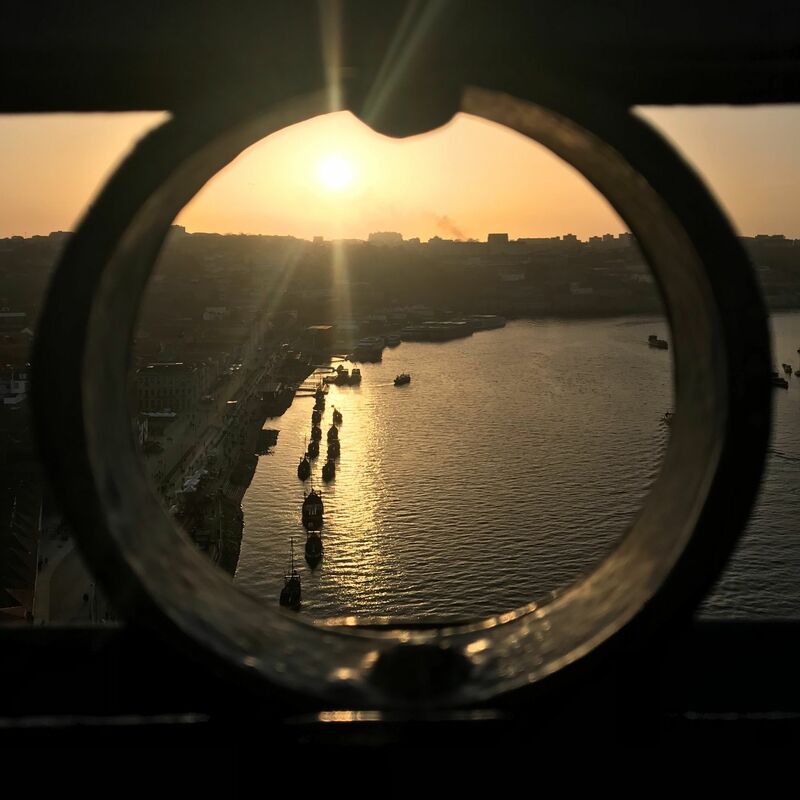 When it comes to what to see in Porto for a first-time visit, a must is definitely walking the Dom Luís I Bridge over to the Gaia side to sample the port wines. There are various varieties of port wines to sample, my favourite was the fruity ruby wine. Adam and I used our Porto cards to get discount on the Telefonica de Gaia Cable Car and were delighted when we were also given tokens to try a glass of port wine each at Quinta de Santa Eufémia. 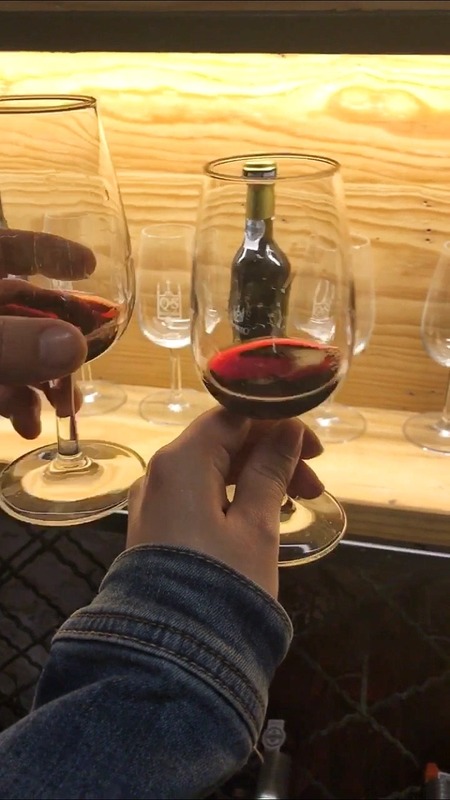 Many port sellers in the area offer a tour and the chance to sample the varieties of port wine available for less than 10 euros per person. I only wished we would have had the chance to visit the vineyards in the Douro Valley during our visit too. 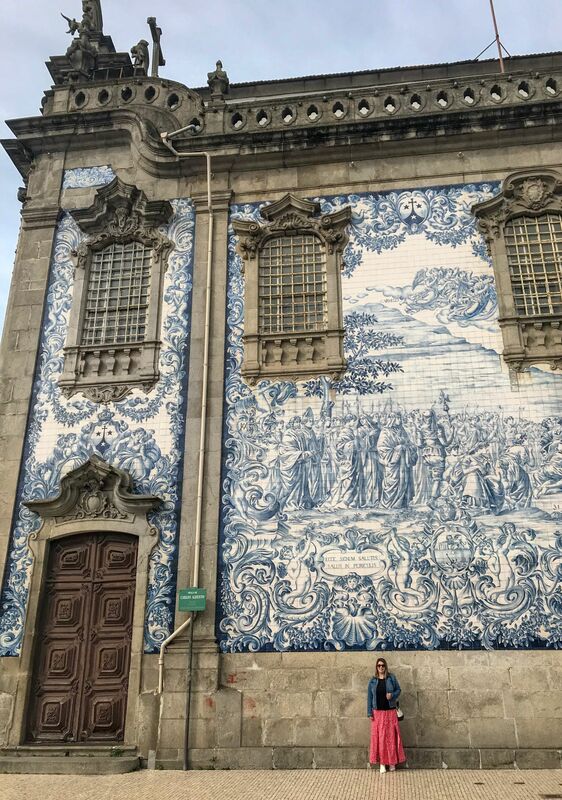 As I write about my time in Porto, I picture the beautiful azulejo blue and white tiles adorning the buildings in the city. One of the best things to do in Porto is simply wandering the streets admiring the quaint old buildings adorned in these pretty tiles. 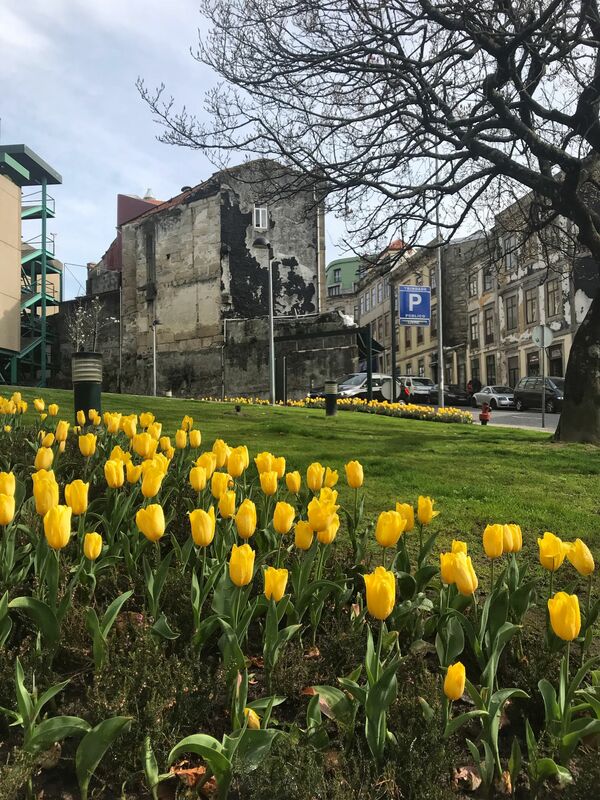 From Carmo Church, Porto Cathedral to São Bento Railway Station, which is said to have 20,000 tiles on the walls, Porto is a city with plenty of beauty to behold. 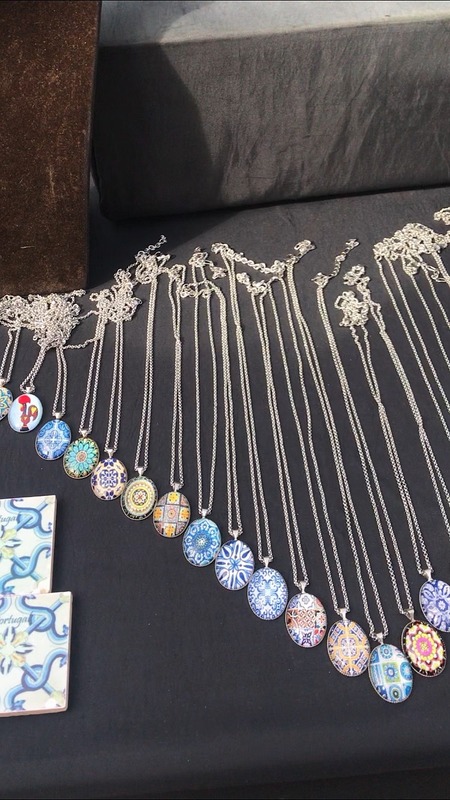 I was thrilled to pick up a traditional style tiled necklace for 3 euros on the local market during our 3-day visit to Porto. Even the market has a wealth of traditional trinkets and vintage items, which only emphasises the old-world charm of the city. If you’re not afraid of heights and able to climb a huge number of steps (I couldn’t as I wasn’t well), you can climb Clérigos Tower (Torre de Clérigos) for some fantastic views over the city. The entrance fee is around 3 euros, and the 240 step staircase is understood to be very narrow in places! Porto is the perfect city break for romance or for those looking for an authentic and simple weekend away without breaking the bank. A classic city where you can admire the UNESCO protected Ribeira District and watch the world go by with a glass of wine in your hand, soaking up the sunset views over the Douro River. From colourful houses to beautiful beaches, you are spoilt for choice for places to see in Porto and, I’d say visiting at the start of the year is arguably the best time to visit Porto to really appreciate its beauty. What Porto points of interest are ticking your box? 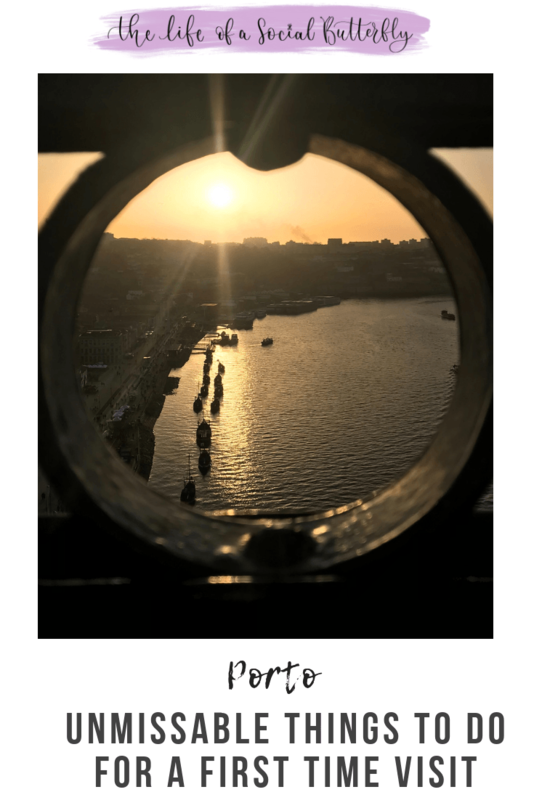 I hope you enjoyed reading this first time guide of things to do in Porto, if so please share it using the share buttons on the left or below for mobile readers. Let’s wave our wands Harry Potter stylee and share the Porto Post with others! Never miss a post by signing up to The Life of a Social Butterfly Newsletter. *Porto Cards kindly gifted by Visit Porto. * Post contains affiliate links, which do not impact on your experience but enables me to make a few pennies based on my recommendations. This is perfect!! And exactly what I need. Will be following this closely, thank you so much. I am so excited to go now. Thanks so much Charlie 🙂 I hope you enjoy Porto as much as I did, it’s such a chilled city break. Have a fab time! 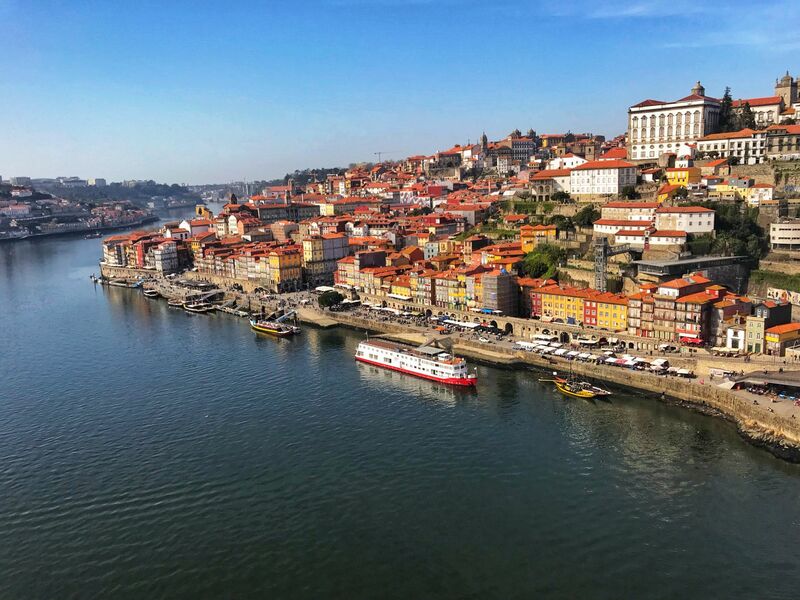 Excellent post – it looks like there are so many awesome things to do in Porto! I would have never considered putting this on my travel bucket list, but I really should after seeing all the cool things to do there. Thank you so much for sharing! Your blog is super great! That rabbit, the beautiful azulejo blue and white tiles, the FOOD! You’ve totally sold me! I adore the rabbit street art installation (my fave ever!) I want to find all of Bordalo’s creations now! Wonder if there are any in Italy near you? I will have to google that! If I find any, I shall let you know! It’s pretty incredible – such talent, right?? ?